Pljeskavica (Serbian Cyrillic: пљескавица, pronounced [pʎɛ̂skaʋitsa]), a grilled dish of spiced meat patty mixture of pork, beef and lamb, is a national dish of Serbia, also popular in Bosnia and Herzegovina and Croatia. 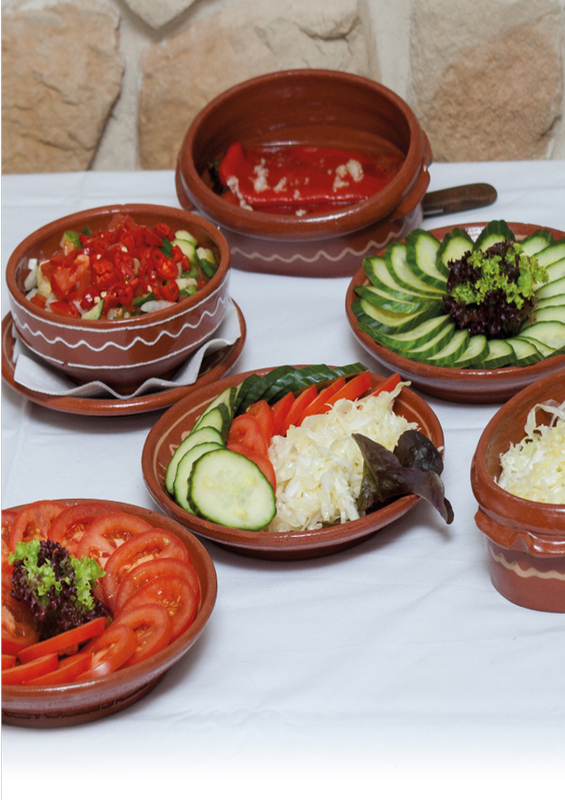 It is a main course served with onions, kajmak (milk cream), ajvar (relish), and urnebes (spicy cheese salad), either on plate with side dishes, or with lepinja (flatbread, as a type of hamburger). 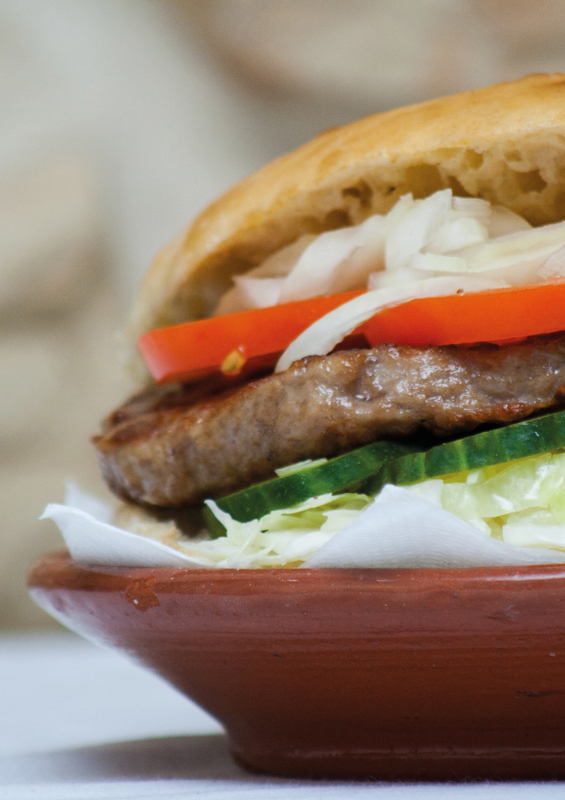 Recently, Pljeskavica has gained popularity elsewhere in Europe and is served in a few speciality fast food restaurants in Germany, Sweden, and Austria. 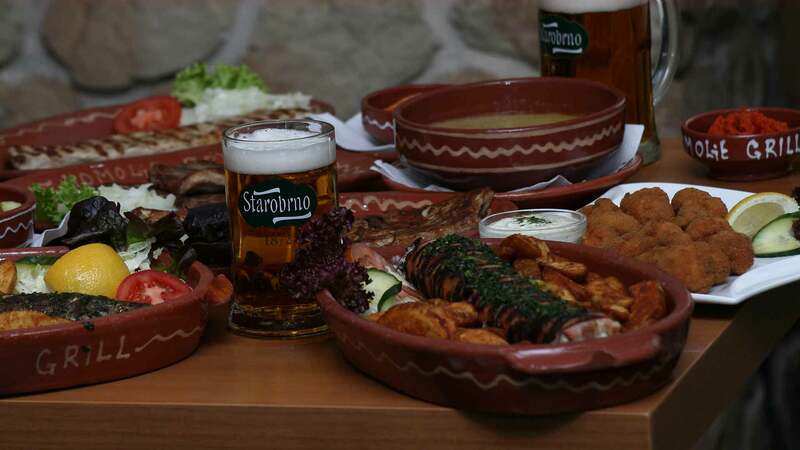 Varieties include the „Leskovac Pljeskavica“ (Leskovačka pljeskavica) very spicy with onions, „Šar Pljeskavica“ (Šarska pljeskavica) stuffed with kačkavalj cheese, „Hajduk Pljeskavica“ (Hajdučka pljeskavica) of beef mixed with smoked pork meat, and „Vranje Pljeskavica“ (Vranjanska pljeskavica). The Leskovac Pljeskavica is an official brand of Serbia.